Many yoga teachers are great at teaching but struggle with the business of yoga. 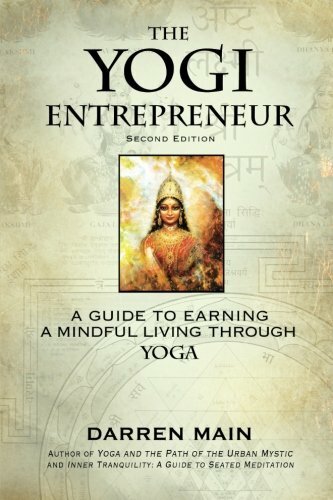 The Yogi Entrepreneur is a powerful guidebook for the thousands of aspiring yoga teachers around the world who have a passion for sharing their yoga but resist the business of teaching. Based on decades of experience, Darren Main offers guidance for building classes, leading workshops and developing an ethical career as a yoga teacher. This second edition includes a new chapter on getting it all done and even more guidance around creating a dynamic website and and social networking presence. With more than fifty free and low-cost marketing tips and dozens of resources, this book will help teachers world-wide realize that balancing your checkbook can be every bit as yogic as doing a headstand. 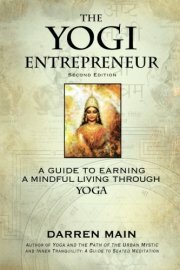 Whether you are a new teacher just getting started or a seasoned instructor looking for fresh ideas to breathe new life into your work, The Yogi Entrepreneur is the book for you.